Win a vacation package, or $10,000 in cash. This year, we are replacing our Mercedes Drawing with a Charity Drawing: focused on your choice of memorable experiences. 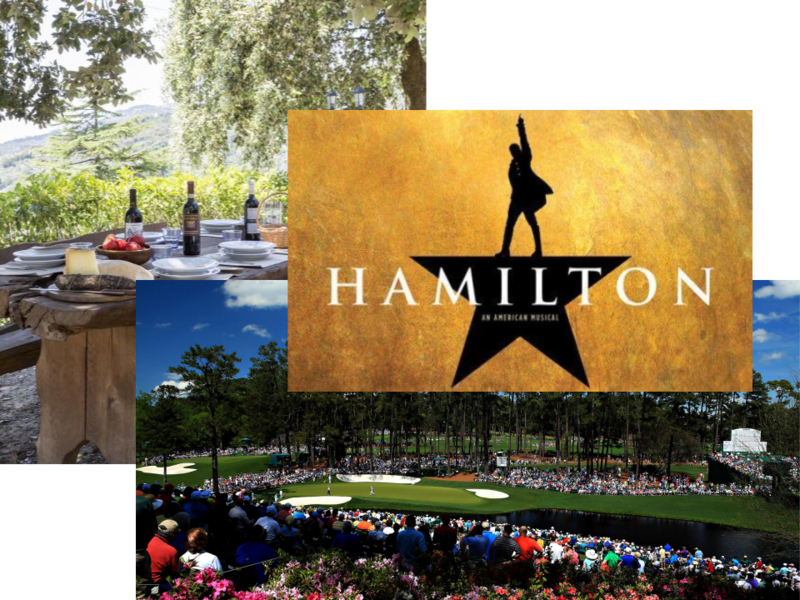 You can choose from once in a lifetime adventures like attending the Masters Golf Championship in Augusta, seeing Broadway's #1 hit show Hamilton (with backstage access), or traveling to Tuscany with seven of your closest friends! You can also choose the cash prize of $10,000. What's more, enter by November 4, and you will also be entered to win our Early Bird Prize, a trip to Tahoe! Call us at (408) 954-8600 for the fastest way to buy your tickets or download this form. Tickets may not​ be purchased online. Remember, the more tickets you buy, the better your chances! As soon as the 1000th ticket is sold! You decide how quickly you want that drawing to happen! A date to pick the lucky winner will be announced once we are sold out!